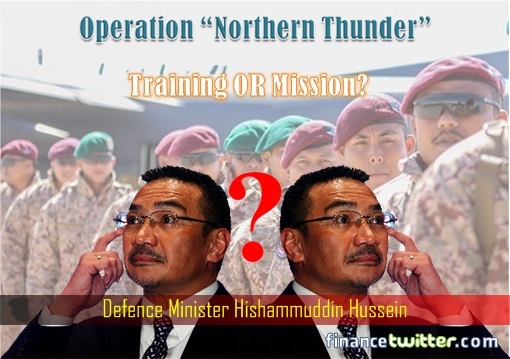 The funniest thing was when the “Operation Northern Thunder” was exposed, the then-Defense Minister Hishammuddin Hussein said he was clueless, or pretended to be clueless, about the country’s involvement. 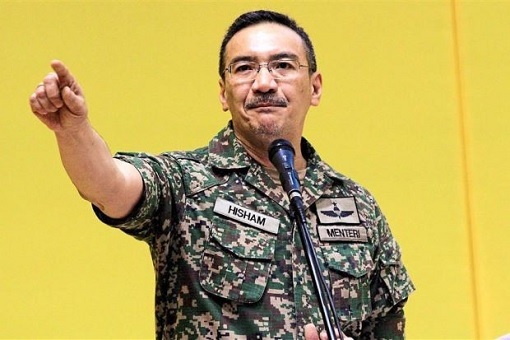 According to Bernama, the official Malaysian government mouthpiece, Mr. Hishammuddin was reduced to seeking clarification from the Malaysian Armed Forces (ATM) on the matter. Najib and his cousin brother Hishammuddin had essentially placed the country at risk of “terrorism target” because the operation was held during the peak of Syrian War. Malaysia’s participation in the military exercise could be easily misunderstood or misinterpreted as joining Saudi-led forces – declaring war on Iran, Iraq and Russia in the Syrian conflict. The Operation Northern Thunder was nothing but a “face-saving” exercise by the Kingdom of Saudi Arabia to hide the humiliating failure of its war in Yemen. 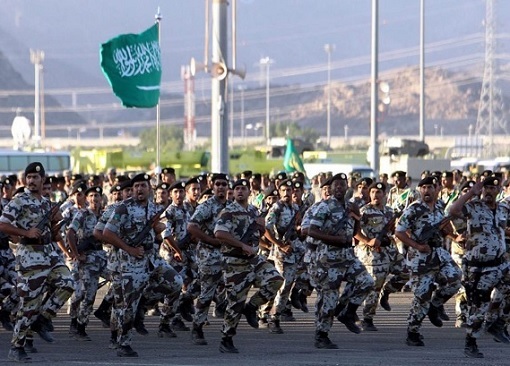 Started a year earlier in March 2015 by Crown Prince Mohammed bin Salman, the Saudi Arabian-led 10-nation of Arab states could not defeat – until today – the Iranian-backed Houthis in the Yemeni Civil War. It was no coincidence that the military exercise was conducted in a place called Hafar Al-Batin, located in the North of Saudi Arabia. The city is located just 94.2 km from the Kuwait border, and about 74.3 from the Iraq border, not to mention its nearest point to Iran. The exercise was to send a warning message to Iran that Saudi and its allies, including Malaysia, could mobilize a massive army. 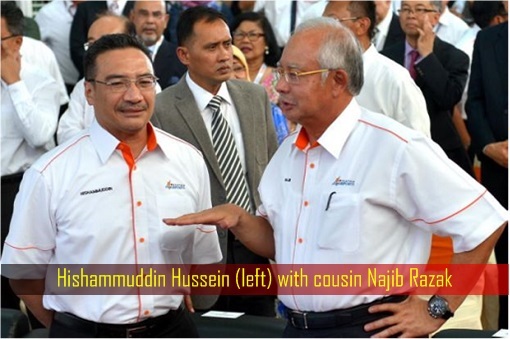 Now that the previous Najib regime had collapsed the past abuse of power has emerged to haunt both scumbags cousin brothers. 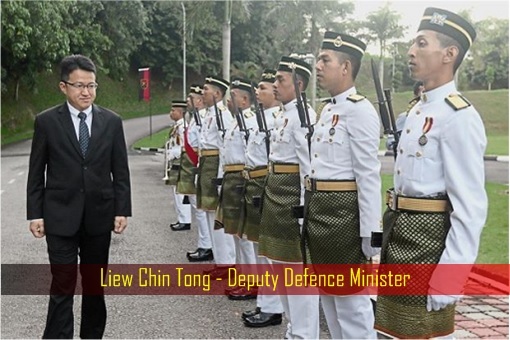 On Monday (Dec 3), Deputy Defense Minister Liew Chin Tong revealed that since June 11, 2015, about 27 officers and 62 rank-and-file troops were deployed to Saudi for “Ops Yemen 2” – without approval from the Cabinet. Mr. Liew’s claim has since received confirmation from Khairy Jamaluddin, former Youth and Sports Minister who served the previous Najib regime. 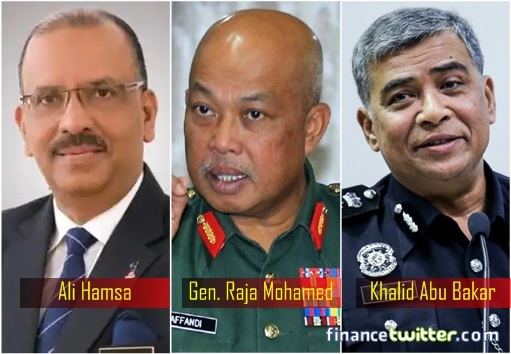 With the confirmation from Mr. Khairy that the military was deployed without proper approval, the new government has yet again exposed another mini scandal involving the previous administration. Apparently, there were two operations – “Ops Yemen 1” and “Ops Yemen 2″. The first operation involved the deployment of 26 officers, 16 rank-and-file troops and two C130 aircraft in Riyadh on April 6, 2015. The mission was to evacuate Malaysians from war-torn Yemen. About 763 Malaysian students were reportedly evacuated under Ops Yemen 1. While everything seemed to be in order for Ops Yemen 1, the same cannot be said about the second operation. The new government reveals that Ops Yemen 2 was not to evacuate Malaysians from the conflict zone, but instead to assist the Saudi Arabia-led military coalition in the Yemen war. This means Hishammuddin had literally lied when he said the soldiers were not involved in the Yemeni Civil War at all. Mr. Liew exposed that not only the Ops Yemen 2 had cost RM14.6 million of taxpayers’ money, the secretive operation also involved 12 missions to bring in explosives, spare parts, bullets and other equipment that belonged to the Arab Alliance. Thanks to Hishammuddin, the Malaysian Armed Forces were treated like errand boys by the Saudi Arabia in its little game of war in Yemen. The Ops Yemen 2 involved 27 officers and 62 rank-and-file troops being deployed to Riyadh, Saudi Arabia since June 11, 2015. Fortunately, the troops were withdrawn following the new Pakatan Harapan government’s decision on Sept 4 this year, after the historic victory in the May 9 polls which saw the previous Barisan Nasional lost its power for the first time in 61 years since independence in 1957. It was also unveiled that in 2016, due to the high operation and maintenance cost as well as the impact to the troops and flight crews, TUDM (Royal Malaysia Air Force) proposed that the troops be withdrawn. However the former Armed Forces chief and the Defense Ministry (Hishammuddin Hussein) did not agree to it. Caught with his pants down, the disgraced Hishammuddin now claims that the Ops Yemen 2 did not go through the standard operating procedure of obtaining Cabinet approval because the matter was handled by the National Security Council (NSC). He also argued that there were still over 700 Malaysians left in Yemen, obviously trying to justify his “abuse of power” and infringement of the law. Ops Yemen 2 was never about evacuating the so-called 700 Malaysians because the Deputy Defense Minister Liew Chin Tong has clarified that they did not want to be evacuated but had chosen to remain behind. Hishammuddin tried to hide behind the NSC, but in reality, the National Security Council was not formed to send military overseas, let alone for combat operations. Although the NSC report directly to the Prime Minister of Malaysia, its core functions are to defend national sovereignty, manage crisis and disaster and border management of land, maritime and air. In a nutshell, NSC is to defend the country from domestic and international threats. Clearly, the country wasn’t under any threat whatsoever during the period of Ops Yemen 1 and Ops Yemen 2. Instead, the ex-PM Najib Razak, who chaired the NSC, along with his cousin’s ex-Defence Minister Hishammuddin as well as Minister of Foreign Affairs (Anifah Aman) and the Minister of Communications and Multimedia (Salleh Said Keruak), had chosen to interfere with foreign conflicts – Yemeni Civil War – and sanctioned the army’s provision of logistical support for the Arab military pact. The burning question is – did the Chief Secretary to the Government (Ali Hamsa), Chief of Defense Forces (CDF General Raja Mohamed Affandi Raja Mohamed Noor) and the Inspector-General of Police (IGP Khalid Abu Bakar) was being complicit in risking the lives of innocent soldiers? All of them were part of NSC executive members, and were supporters of crooked Najib Razak, therefore, should be grilled. More importantly, Najib Razak and cousin Hishammuddin Hussein may have committed an act of treason of the highest order for unlawfully used NSC to operate the Ops Yemen 2 with the intention of sucking up to the Saudi Arabia royal family in exchange for the infamous RM2.6 billion donation (which turned out to be corruption and money laundering scheme). 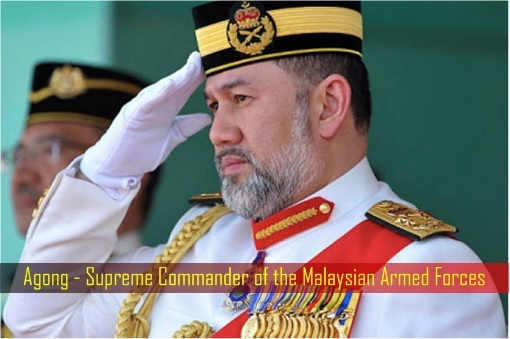 It’s also safe to presume that the “Yang di-Pertuan Agong (King)”, who is the Supreme Commander of the Malaysian Armed Forces, was not consulted at all before the deployment of the military to the Middle East. It is certainly a betrayal and an insult to the Commander-in-Chief if he wasn’t consulted on the military operations despite being the highest-ranking officer in the military chain of command. Former Defence Minister claimed to be CLUELESS, better have a CLUED UP cook turned New Defence Minister than a clueless no gooder.